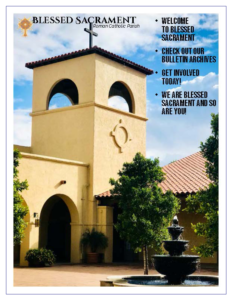 The bulletins are on a website hosted by our publishing company, Liturgical Publications, Inc. They may take a moment to load. Click on a bulletin below to access it. To submit a bulletin article, please contact Erika Jackson at least 15 days before the desired publication date.